There is a common Entrance test conducted by the trust. Candidates who pass the exam will be provided seats in the institute, based on merit. Mess Fess : Rs. 2200 per month. There is no information about scholarship in this college. Library: The Library has separate Reading Rooms for Journal Section and other books. There are facilities for Internet browsing too. Labs: There are laboratories for Anatomy as well as Nutrition and Fundamentals of Nursing. There are 15 full time faculty in the college. This includes 3 professors, 9 lecturers and 3 clinical instructors / tutors. The faculty are excellent and provide adequate coaching and soft skills to the students. All the graduates are placed in good jobs with high remuneration. 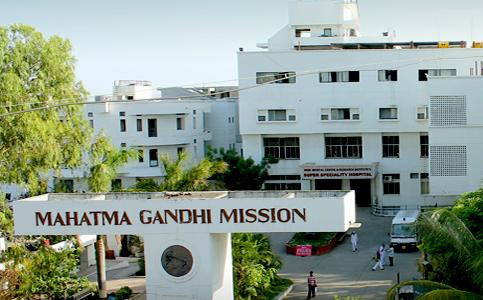 Many alumni have been recruited into various government hospitals and corporate hospitals all over the country. If you would like to join this college, you can apply through the common admission process of the Maharashtra government. The other option for a student is to approach the college authorities for a management seat. The college has a management quota and there are some seats available under this quota. If the seats from the government quota does not get filled under any special or reserved categories, the college administration can fill the seats through the management quota. Have you not been able to get admission in any other nursing college? Would you like to study in the MGM College of Nursing? You can enter through the management quota easily.